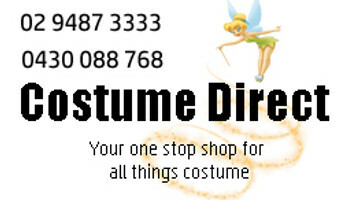 Costume Direct's wide range of Headwear for adults and kids are the best in Sydney! This online costume store ships fast to your door! We have a variety of different hats and head-pieces, from the Sombreros to Golden Turbans and Bobby hats. From the flamboyant and fun (eg. Carnivale/Showgirl headpireces) to the deadly serious (think Al Capone on a bad day! ), we'll keep your head covered in style.